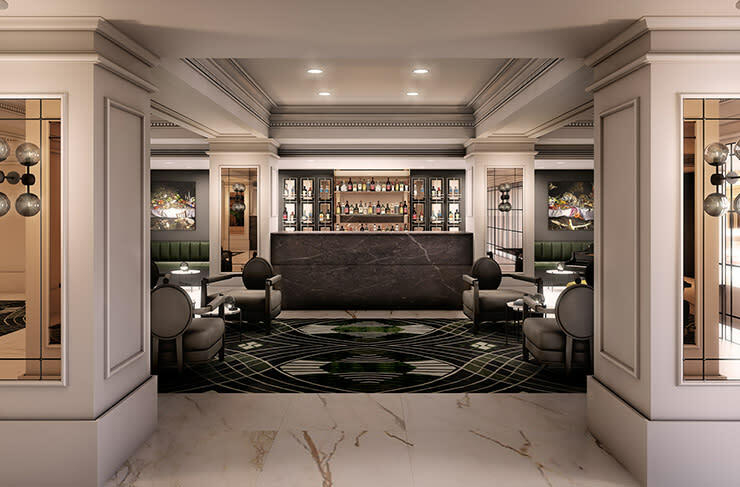 Set to return to a glamorous attraction on Little Collins Street, the Vibe Savoy Hotel Melbourne is currently undergoing a multi-million-dollar refurbishment transforming into The Savoy Hotel on Little Collins. 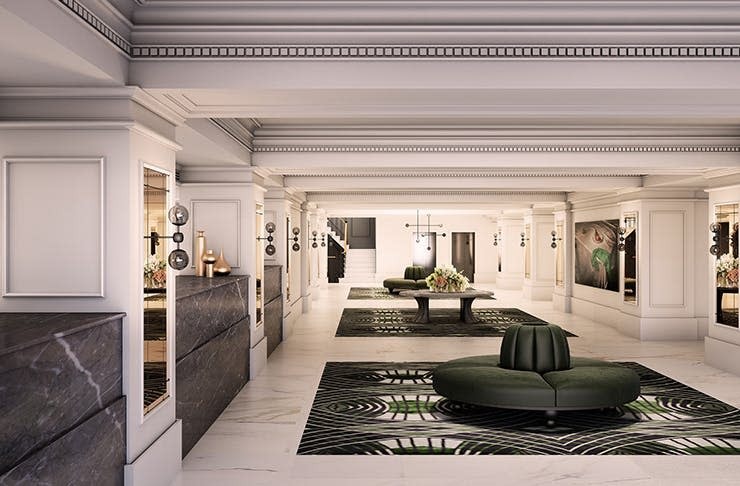 Inspired by the heritage of the building that was originally Hotel Alexander in 1928, the design of the revamped hotel will be modern and welcoming with warm timbers, smoked mirrors and brass elements. The 163 guest rooms will be complemented with plush furnishings in greys, blues, whites and charcoal with full-length mirrors and custom carpet featuring period motifs and chequerboard tiled bathrooms. The boardroom and the 2-level restaurant are also getting new looks with a 10-storey atrium that fills the space with natural light and grand chandeliers.